The Pensacola State College Veterinary Technology program received full accreditation from the American Veterinary Medical Association’s Committee on Veterinary Technical Education and Activities on Feb. 2. The Vet Tech program, which has held provisional accreditation since 2013, prepares students to take the Veterinary Technician National Exam (VTNE.) Once a student passes the VTNE, they are eligible to practice as a Credentialed Vet Tech (CVT) in the state to which they apply. 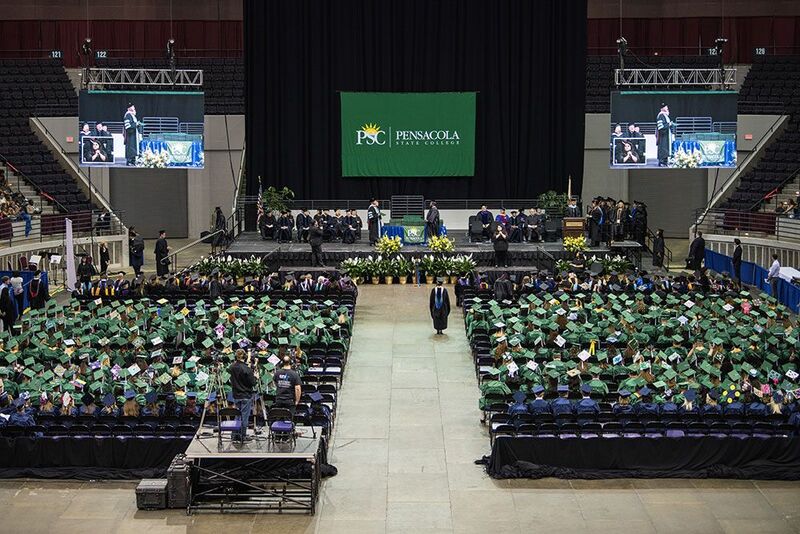 In the past five years, 64 students have graduated from the Pensacola State program. 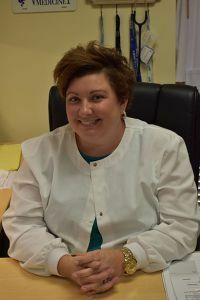 Sarah Meyer-Paterson, Pensacola State Vet Tech program director, said that earning the accreditation includes performing a self-study, submitting an annual report and a rigorous two and one-half day site visit every five years by the accrediting body to insure that the standards of accreditation are met. The Pensacola State Vet Tech program covers a variety of skills including nursing, anesthesia, pharmacology, anatomy and physiology, radiology, lab diagnostics, dentistry and emergency services. Students also complete four supervised clinical rotations at four different approved area veterinary hospitals where they learn different practice philosophies and receive hands-on training. Meyer-Paterson said the Pensacola State program operates under the “One Health” philosophy: the work they do benefits humans and the environment as well as animals. Meyer-Paterson added becoming a vet tech offers students the opportunity to become involved with veterinary medicine without going into debt, adding a medical degree can cost $150,000 or more. A common misconception, according to Meyer-Paterson, is that anyone who works in a veterinary hospital is a vet tech. She noted they are often confused with veterinary assistants. According to the U.S. Bureau of Labor Statistics, employment growth for veterinary technicians is projected at 20 percent from 2016 to 2026 ─ much faster than the average for all occupations. The median pay for a vet tech is $33,400 per year. The Pensacola State Vet Tech program accepts up to 24 students every August. As the only Vet Tech program in Northwest Florida, the demand for enrollment is high, with a total of 258 applications submitted so far for the fall 2018 semester. “The majority of our graduates find jobs immediately. A lot of them find jobs while they’re in the program,” said Meyer-Paterson, who added recent graduates have followed a variety of tracks to include research, practice management and pursuit of their bachelor’s degree in veterinary nursing. Vet technicians also can find employment opportunities in biomedical facilities, wildlife facilities, academia, industry and more. However, most students who begin the program do so with the sole intention of going to work in a clinic. “We show them that there’s so much more. There are so many more options,” Meyer-Paterson said. For more information on Pensacola State’s Vet Tech Program, email Meyer-Paterson at smeyer-paterson@pensacolastate.edu.